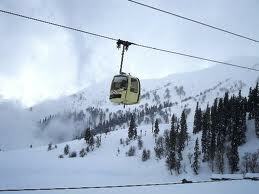 Skiing in Gulmarg,Gulmarg Skiing,Gulmarg Winter Package,Gulmarg Tour,Kashmir Gulmarg Tour. On Arrival in Delhi meet & greet by our representative & transfer to Luxury Houseboat, after fresh up evening shikara ride in Dal Lake, after ride back to Houseboat, Dinner & O/N at Houseboat. After Breakfast drive to Gulmarg, (Gulmarg is one of the best beautiful Snow valley. ) 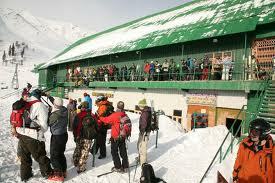 it is at 52kms from Srinagar, check in Hotel, and after lunch visit to snow point and you can do the skiing / riding. and evening back to Hotel. Dinner & O/N at Hotel in Gulmarg. 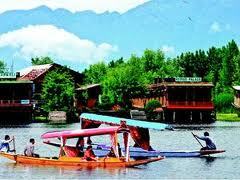 Depart from Gulmarg & arrive in Srinagar. Then visit Mughal Gardens along the lake, Nishat Garden & the Shalimar Garden , followed by a visit the Shankacharya Temple.Lunch at the Hotel.Enjoy a 2 / 3 hour long Shikara ride on Dal Lake through the Canals of the Dal lake. See Floating Gardens, Floating Shops and a lot of Handicraft sellers on their boats, There is always a Grocery store on a beautifully set boat almost at every visiting place in the lake. Dinner and overnight stay on Houseboat. Day 5 : A happy tour ends. All ground transfers and sightseeing tours. 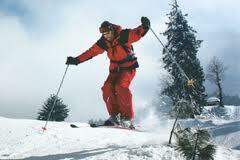 Services of our professional mountain guide. Lift Charges: Lift Pass Entry for Both Phases of Gandola. 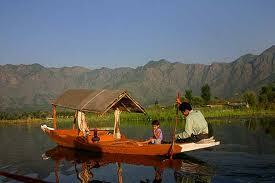 Services of our guide in Srinagar.